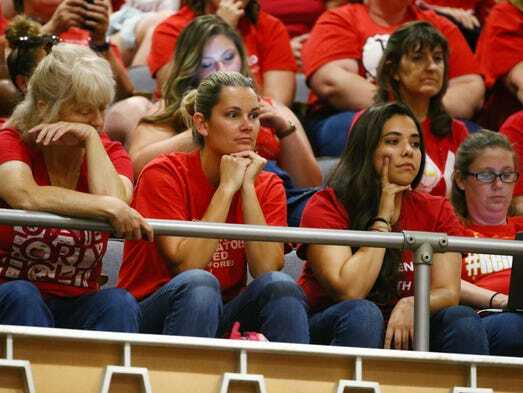 Why are we ignoring the best news about Arizona teachers? Arizona students are improving on national tests even when they shouldn’t be. Why? I’m fairly sure teachers have something to do with it. 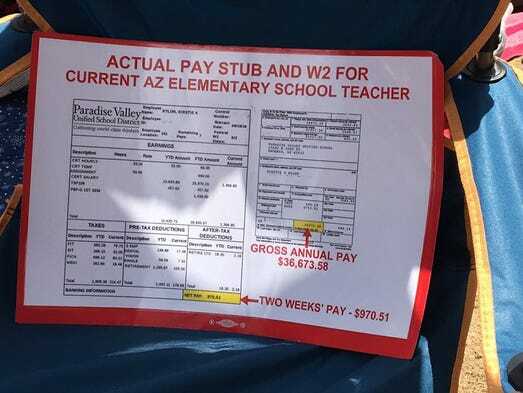 As the #RedforEd walkout rages, a few readers have told me that teachers don’t deserve extra funding until they improve performance among their students. But that overlooks some of the best – and most ignored – news our public schools have gotten this year: NAEP scores. The National Assessment of Educational Progress is important because all 50 states administer the same test, making it possible to compare how students in, say, poorly funded Arizona are doing compared to students in wealthier Massachusetts. And here’s the crazy part: some Arizona students scored higher. That’s right. Arizona charter students outscored students in Massachusetts (and every other high-achieving, demographically advantaged state in the nation) on the eighth-grade math test in 2017. Arizona charter students came within a point of beating Massachusetts in 2015, says Matthew Ladner, a school-choice advocate who completed the analysis. But wait. Before you roll your eyes and say, “Oh, here it comes. More district school bashing,” here’s the interesting part: Not just Arizona charter schools are seeing improvement. ROBB: Arizona schools don’t stink. Why do we keep saying they do? Even if you take charter students out of the equation, Ladner says, district schools are showing more academic improvement than many of their peers nationwide. And not just in eighth-grade math. He says Arizona is one of only two states (Mississippi being the other) to make statistically significant gains on all six NAEP tests – reading, math and science in fourth and eighth grade – since 2009. Nationally, scores have stayed static or slipped since then. But wait, the naysayers will say. Only about 30 percent or so of Arizona students, depending on the grade level, are considered proficient in reading and math on the NAEP. And, yes, while Arizona’s best score this time around is in eighth-grade math, even it has slipped a bit since 2015, putting us on par with the national average instead of two points ahead of it. Our reading scores in fourth and eighth grade fall a few points below the national average. Yup. You’re right. Even with the growth – and nation-leading performance among charter-school students – Arizona’s average scores have gone from gag to meh since the Great Recession. But we’re improving at a time when, frankly, we shouldn’t be (and when few other states are, either). 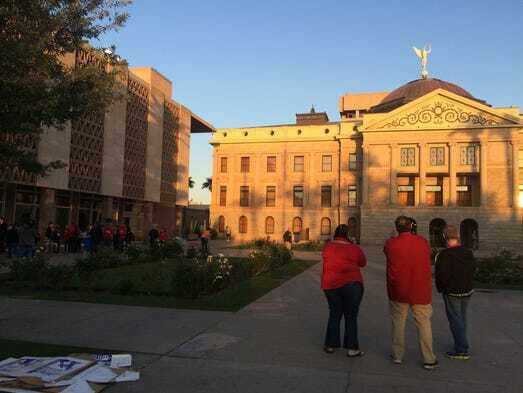 It’s not because we’re awash in cash, because as the #RedforEd walkout has reminded everyone, our schools most certainly are not. Nor are our teachers, which remain among the nation’s lowest paid. 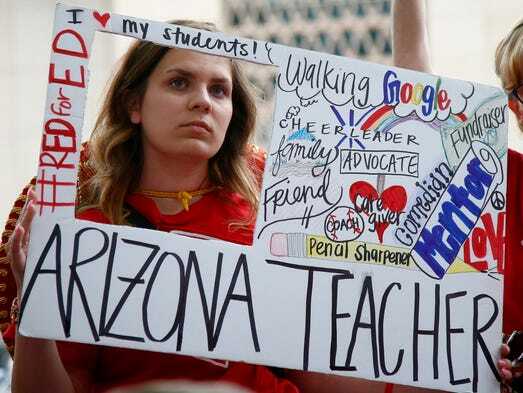 Arizona can’t find enough teachers to fill classrooms, and 600,000 of its students qualify for free and reduced lunch. It’s not like the barriers to a great education have gotten any lower during that time. Frankly, you’d think more education types would be striving to answer this question – and replicating what they found in schools all over the state. We do know, at least, that effective teachers are more important than any other factor in improving student achievement. In my mind, NAEP is proof positive that Arizona teachers are doing something right. That’s why this voter is ready to pony up my own cash – not just some rich guy’s – to restore school funding that was slashed since the recession. Imagine how much progress teachers could make if they had the proper resources to do their jobs. Posted in Accountability, Advocacy, Department of Education, Education Budget, Educators Protest, Evaluations, Every Student Succeeds Act, Funding For Education, Higher Education, No Child Left Behind Act, Pension & Salary, Students and Parents Protest, Teacher Evaluation, Teacher Shortage and tagged "Standing Strong for Public Education", #iBelieve, Accountability, Accountability System, Advocacy, Department of Education, Diversity, Education, Education Funding, English Language Learners, Equity, Every Student Succeeds Act (ESSA), Failing Schools, Federal Education Policy, High-Needs Students, NEAExecutiveCommittee, Pensions, Public Education, School Choice, State Budget, Students, Testing and Accountability. Bookmark the permalink.